San Diego’s innovation economy has come a long way since the bitter winter of 2009. As the great recession deepened, venture investments in the region fell to a 12-year low in the first quarter, with less than $101 million invested in 17 companies, according to one venture industry survey. As a point of contrast, venture firms poured $334.1 million into 27 deals in San Diego during the last three months of 2015—and invested more than $1 billion here over the entire year. The numbers only tell part of the story, however. In a presentation last week for the MIT Enterprise Forum, serial entrepreneur (and San Diego Xconomist) Mark Bowles said there are now more organizations for startups and entrepreneurs in San Diego in terms of incubators, accelerators, and support groups than there were in Silicon Valley when he left 12 years ago. One example: More than 500 people registered to participate when Startup San Diego organized a three-day “convergence” for tech startups earlier this month. The weekend schedule included multiple tours of tech startups in downtown San Diego, an internship fair at UC San Diego, and Demo Night XIII, organized by San Diego Tech Founders. The goal of the convergence weekend was to highlight the growing community for tech startups in downtown San Diego, and to get more college students involved, according to Neal Bloom, who organized the weekend event. “About two years ago, we realized that we had no student attendance” at Startup Week, said Bloom, a local tech entrepreneur who is now a San Diego-based representative for Hired, the San Francisco-based online marketplace for tech jobs. Many students are graduating from UC San Diego, San Diego State University, and the University of San Diego, and leaving town for jobs in Silicon Valley without knowing that Web companies like Tealium, Kyriba, Classy, and Take Lessons, are expanding here, Bloom said. Many students are also unaware of the startup resources that have emerged in San Diego since 2009. Bowles highlighted 10 local incubators and accelerator programs in his presentation, including EvoNexus, Plug and Play San Diego, Janssen Labs, and West Health. Local co-working spaces include CyberHive, DeskHub, Co-Merge, 3rd Space, and the Vine. But San Diego’s tech ecosystem also faces a few challenges. 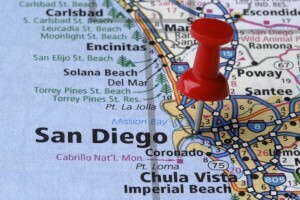 The issue most frequently cited is the availability of venture capital for tech startups in San Diego. “As one of the country’s innovation hubs, we flog ourselves for being a backwater region that doesn’t get any [venture capital] money, but it’s just not true,” Bowles told me. Citing data from City Lab, he said San Diego ranks among the top 10 cities worldwide in terms of total venture capital funding (including life sciences).